Circus Ground Acts. 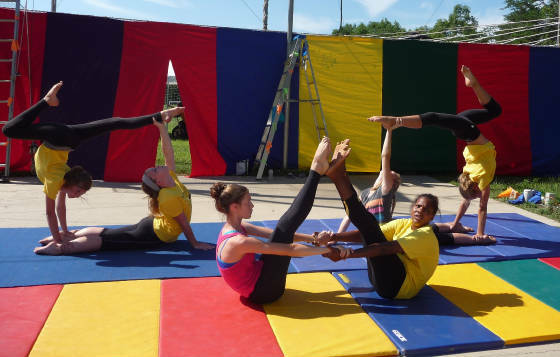 Learn new circus arts on the ground! Great for BENDY, GYMNASTIC KIDS. Grab a friend and learn the fun bendy art of Acro in OUR Circus Camps. .
Come learn how to juggle and take classes from the owner himself! Matthew Altbuch, a professional juggler.. He starts you out with the basics of juggling and the classes are always fun.. 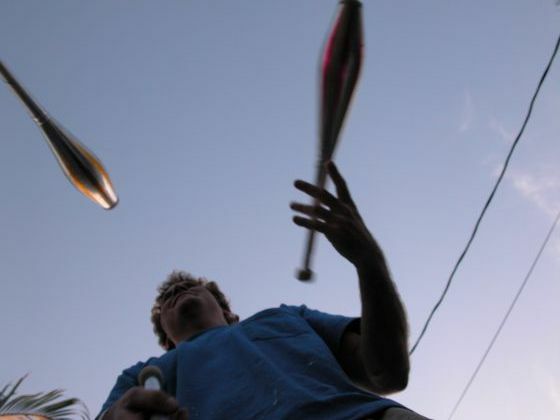 Learn to pass juggle with Matthew and learn to self juggle doing different tricks.